Greetings! Welcome to my little plot on the internet. My name is Casondra Brewster, called “Casz” by those who know me best or can’t seem to keep a long “a” out of my name. I have been writing for other people all my life from journalism to corporate communications. I often am told what an unusual life I have lived thus far in more than four decades. I think pretty much all of it has been on accident. Except my writing. For the next four decades (and hopefully beyond), it’s all on purpose and all about my writing. My personal philosophy: Life is not about finding yourself; it’s about creating yourself. Once I realized that all bets were off and I was running towards making my dream of being a full-time writer a reality. Check out the Blog to see how I’m working on making that a reality. Join my journey. Cheer me on. Tell me when you think I’m headed out into left field (I may or may not listen, but I’ll always take note of it). 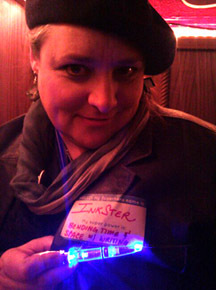 Inkster, Casz’s superhero alter-ego, who bends time and space with writing. Currently, but not for long, I reside in the Cascade Foothills — just a short car-ride from Seattle — on a little plot of land we turned into a small urban farm (see the Harvest Creations page) and now as we transition from microfarmers to sailors, it’s been put back to a proper suburban lot (#operationcurbappeal). I loved growing things (also did a bit of #drunklandscaping) and then, of course, cooking it up and sharing it with my friends and family. It was a great place to begin a creative life, but as I’ve grown, my interests have changed and you’ve found my page at this moment of transition. But life is still about creating every day. If you follow me on Facebook (currently I am friends only, so please don’t be shy and send a request), you’ll see I have an alter ego called “Inkster.” She is my superhero persona. Inkster bends time and space with the power of the pen. You will occasionally get dispatches from Inkster, too. Normally to deal with the splashes of writing and publishing success I’m experiencing. Over the years that this blog has existed, you’ve seen it grow and expand and shrink and explore and grow again. But writing is always at its core. Recently, I’ve been learning about tech journalism and have a new passion for #infosec and #digitalsecurity. You can find that exploration on my In The Weeds page. On the fiction side, I write mostly speculative fiction. It ranges from YA to very weird and dark. Occasionally I dip into literary fiction, military fantasy (I am a vet), and poetry, too. I try not to limit myself. If you have a question, feel free to comment and ask. I’ll do my best to answer it. Comments are moderated. There unfortunately is always haters out there. If you’re a lover, however, spread the positive energy. I truly believe in the threefold law. Check out the Crop-Dusting Link so you can see where else I hang out around the Inter-tubes. Follow me on Twitter, friend me on Instagram, or as above, Facebook — whatever lifts up your Web 2.0 skirt. You are an amazing writer with a lot of talent. I am proud to know who you are. Keep living the dream. You are awesomeness in a small package. Thanks so much. Good to hear from you. Hello. Good that you are a writer. The world needs more of those. I write some as well. Interesting things on here. A lot to take in and follow. Here is my question: Why a donate button? I mean there is nothing to say what for. Is it that you just need some money? If I go to site and I see ‘donate’ button, it is usually with an explanation as to what project the money is going for. I think that to tell followers with what intentions to give money is, is a good idea. It is very confusing. Hope you grow a lot on the farm. Thanks for visiting. I’m glad you think the world needs writers. Regarding the donate button…I was just looking at that today. It used to have an explanation and in the recent update it seems to have gone awry/away. I’ll have to fix it pronto. 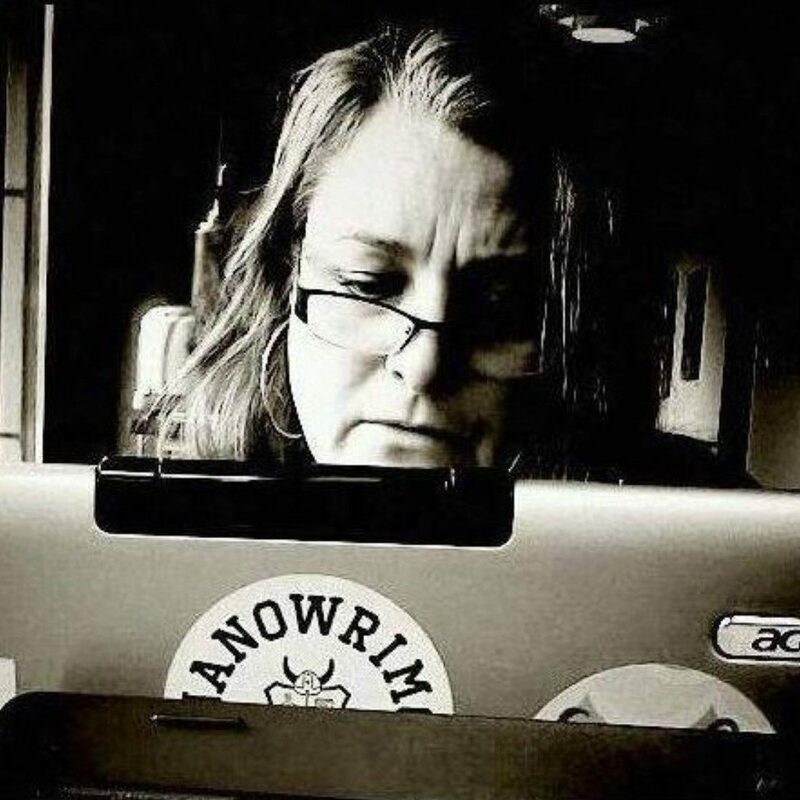 And yes, it’s simply for those who want me to be able to continue to my writing life — both so I have the time to write, do the conferences or classes that the modern writer seems to need to network, etc. (although I’ve done fewer of those lately). It was initially done in the same spirit of when artists of old were “sponsored” by those who wanted them to keep doing what they were doing. Hey Casz. I like your philosophy of creating who you are! Right on. Likewise we can create our future and we have decided it really is too late to be pessimistic. Like you we are living a dream with our #netzero #carfree #vegan #urbanfarming lifestyle. Congratulations for inspiring others to take the leap into a sustainable future. Nice! My pleasure, Thomas. Really appreciate your support. I might just try to attend this Darian; but, I also have baseball mom duty. Thanks for reading! Sorry so late with the reply. I’ve was injured and then ill. Been a rough couple of weeks. Back in the saddle now, however. One query that comes to mind after reading the story and some critical works about it will be: Is Arnold Friend real, or simply just created by Co&enin#8217;s thoughts? Critics Gretchen Schulz as well as R.L.R. Rockwood state that Arnold is “created inside the mind with Connie . . . exist[ing] there merely (520). They additional suggest that Connie developed Arnold in order to have an opportunity to successfully pass into womanhood. Were you at the Harstine Island Farmers’ Market today? We think you left something at the Wild Felid Advocacy Center table and would like to return it to you. Please let us know via email or give us a call at 360.426.4466. Ask for Mark or Shelleen. I’m so sorry I missed your calls. Thank you so much for trying to call me. Cell coverage was spotty where we were, and I didn’t get your message until I’d contacted the authorities to replace said item. Your honesty is much appreciated! You may dispose of it. Thanks!